Go Nebulas: the future of collaboration! Since its inception, the core vision of the Nebulas blockchain was to create a distributed system where everyone benefits from decentralized collaboration. To support this goal and foster community collaboration, we, at Nebulas, are building unique tools that are available for all. Today, Nebulas is creating a new “hologram” — the “hologram” of community collaboration and governance. We want everyone, including users, organizations and developers, to collectively create a unified set of rules for the Nebulas ecosystem. No doubt, for this to be fair, we must create a system where everyone can participate in the consensus process and the creation of the guidelines. We are clear that this transformation must begin with the ideology to “never be evil,” the internal organization must limit its own power. Furthermore, we feel that transparency is the first step to true community organization and self-governance. 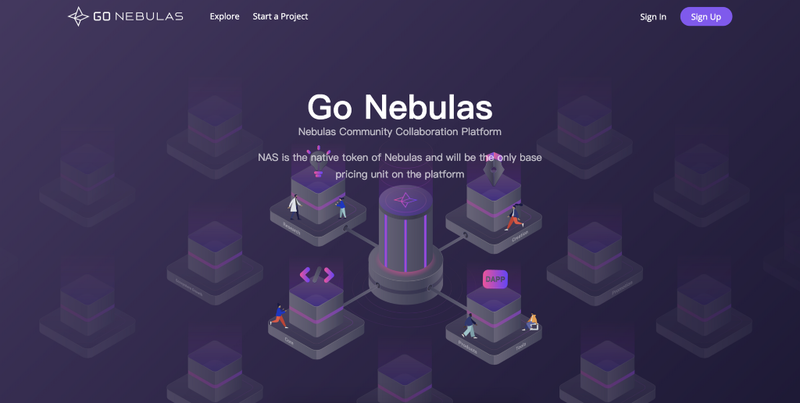 Therefore, via the GoNebulas project collaboration platform, Nebulas is prepared to show itself to the entire blockchain community. This means that existing development work, organizational structure, project budgets and project progress will become completely transparent to the community. In fact, the community is invited to jointly supervise all endeavors. We hope that the previous boundaries of the original Nebulas “core team” and community co-constructors, which have coexisted for nearly two years, will begin to evaporate from today onwards. By eliminating boundaries, more information can be shared with the community, and thereby more value can be shared with all.